We trust you are keeping warm this cold winter and also keeping your entrepreneurial spirits fired up! We have had a busy few months, attending lots of events and, of course, prepping for the ACT 2017 program, which is now in full swing. Classrooms beyond walls: Educating a generation of young leaders and changemakers. Leadership in times of uncertainty. Trusting youth to lead: scaling impact by allowing innovation by youth, for youth. At the end of the day, we concluded there was a need for a re-modelling of the current education system in the region to include courses that promote entrepreneurial and leadership skills (just like the ACT program…), to allow for a mindset shift for the youths to be able to create opportunities for themselves. Moreover, there was a general consensus that the older generation would need to entrust the youth with more responsibility in the workplace in preparation for the transition, and also allow the youth to gain more experience in leading roles. The event was well attended, with over 100 people participating, and proved to be a great networking platform for youths to connect and collaborate on their projects and startups. On the 2nd of June, the team headed over to Meikles for the Mandela Washington Fellows 2 day expo dubbed: “Harnessing the Hustle!” This two day expo was hosted by the Fellows, past and present, from across the region, and showcased their projects, businesses and organisations. This was an opportunity for locals and visiting foreigners to meet, connect and look into possibly collaborating with the fellows on their various ventures. 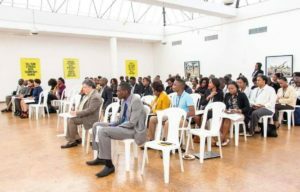 The fellows also arranged for a great lineup of speakers to host different panel discussions, which included The Honorable Minister of Tourism Walter Mzembi, Pastor Tom Deuschle, Dr Shingi Munyeza, Jessie Majome and Nelson Chamisa. Never the ones to miss an opportunity to practice some design thinking, we hosted a prototyping challenge at our table! We challenged people to recreate their wallets and come up with original innovations. 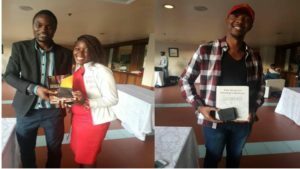 About 30 people participated and came up with some pretty amazing prototypes but it was Tinotenda and Arnold who walked away with the two prizes for the best innovations. We were also delighted to display some of the products that our alumni are developing, showing our commitment to creating a platform for ACT entrepreneurs to increase their market presence! One of the many reasons why you should join our network! FOMO yet? Our last stop was the Queen’s birthday party at The British Ambassador’s residence. The theme for the party was Tech, Innovation and Creativity, and The ACT team went out on a limb on that one! 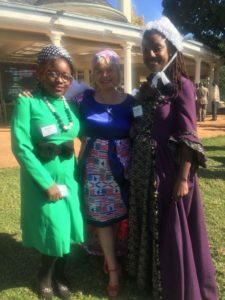 Irene and Chenai dressed up as Florence Nightingale and Katherine Johnson, both women who have made great strides in advancing science and innovation within their respective professions. The event had an array of guests; from young startups with hubs for youths (Tech Village and Makerlab) to representatives from International bodies and respected Dignitaries. ‘For those who missed it, our Anzisha hopefuls, team Reysh Alef, managed to get through to the Semi-finals! The Anzisha Prize seeks to award young entrepreneurs who have developed and implemented innovative solutions to social challenges or started successful businesses within their communities. 15 finalists from across Africa will be selected and win a lifelong fellowship that will help accelerate their path to entrepreneurship success. They will gain access to business consulting services to unlock growth potential in their venture, get connected to a global network of leaders and be provided with opportunities to speak at Global events. 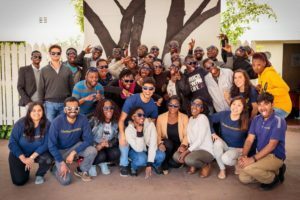 Reysh Alef started their business venture, The Art of Humanity Project, in April after The ACT/Anzisha one day business hackathon, and in the last 3 months, have managed to start a waste management and science kit production business within their community. The team is comprised of 3 individuals, Nyasha, Ropafadzo and Sasha, and also a robust network of volunteers, consultants, partners and ambassadors. For more updates on the group’s activities or if you wish to join them, please follow their facebook page Art of Humanity . The ACT team wishes them all the best and we hope they will get selected for the finals and pitch their business model on a regional platform! Drrrrruuuummmroll! After months of preparation, reading through applications, conducting interviews, making phone calls, the ACT Entrepreneurship Program has finally started! Firstly, we would like to thank all of those who submitted their applications for this year’s program. 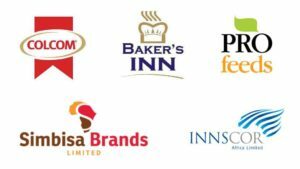 The selection process proved to be difficult as we received so many excellent applications. There are some amazing young minds out there doing great stuff. However, we could only accommodate 24 people, and our 2017 cohort had their first day of class yesterday. A very hearty congratulations to the selected 24, we hope the next 3 weeks are going to be life-changing and eye-opening for you. Our program is going to be action packed, with lots to do and never enough time. Another big thank you and warm welcome to our IBD team and interns, who have flown in from the United States for this program, and another big thank you to Innscor Africa for agreeing to host our corporate hackathon. 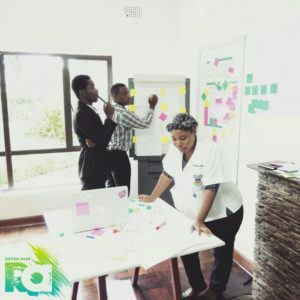 For those of you who did not get the memo, this corporate hackathon will be an opportunity for the teams to apply the Design thinking concepts they will have learned during week 1 to a corporate setting and attempt to solve some of the challenges Innscor are facing. Amazing right?! We are immensely grateful to Innscor for opening up their doors and giving our participants a once in a lifetime opportunity to create change! So that’s it for now friends. We will make sure to keep you posted and updated right through the program. 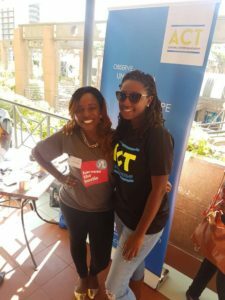 Please do follow our Twitter: @ACTinAfrica, Facebook and Instagram: ACT Entrepreneurship Program for our live feeds and updates. Happy July everyone!